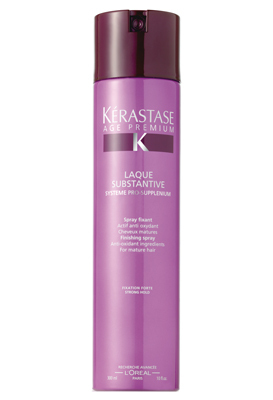 Kerastase Age Premium range is designed hair product to meet the specific needs of ageing hair. Using Systeme Pro-Supplenium Technology, calcium derivative offers the support of a mineral essential; vitamin F derivative provides energy to the root and ceramide helps to repair the cuticle. Pomegranate extract help to act as an antioxidant and protect the hair from UV damage.